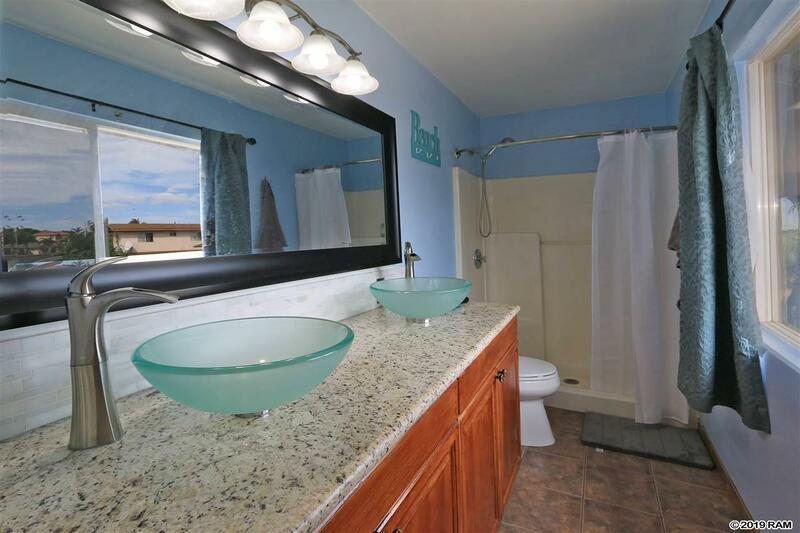 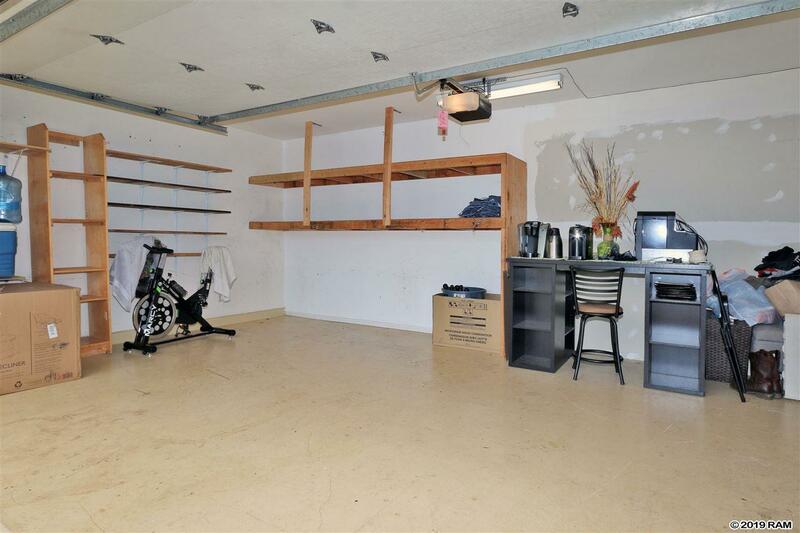 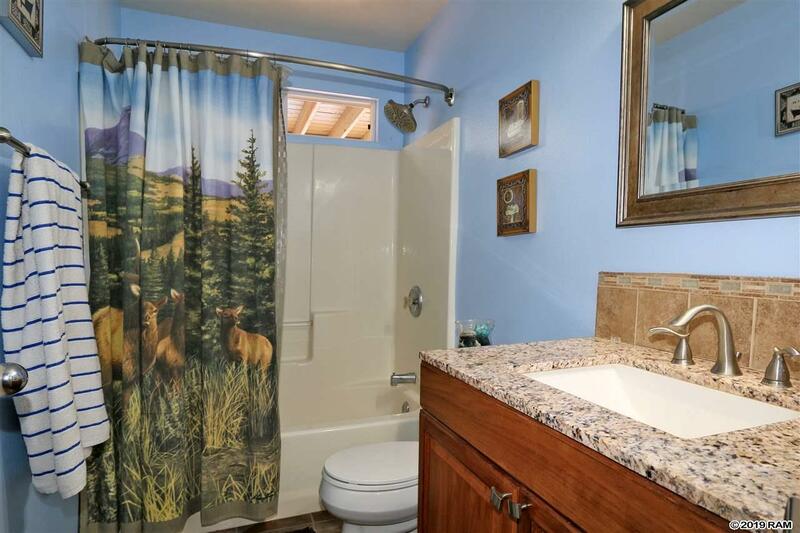 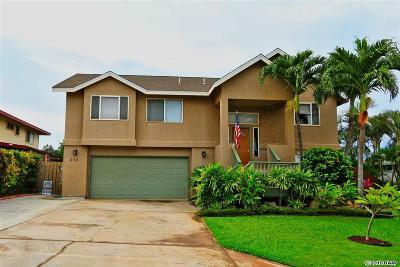 Large 3 bedroom, 3 bath home with over 1, 700 sq. 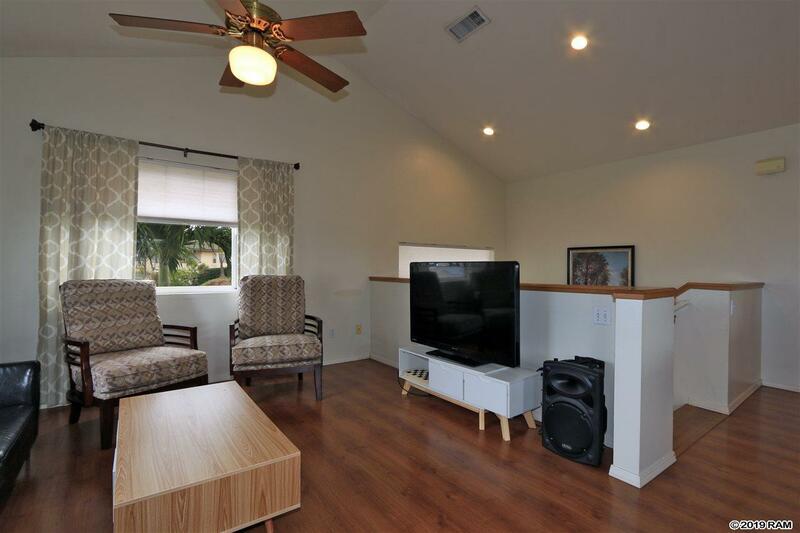 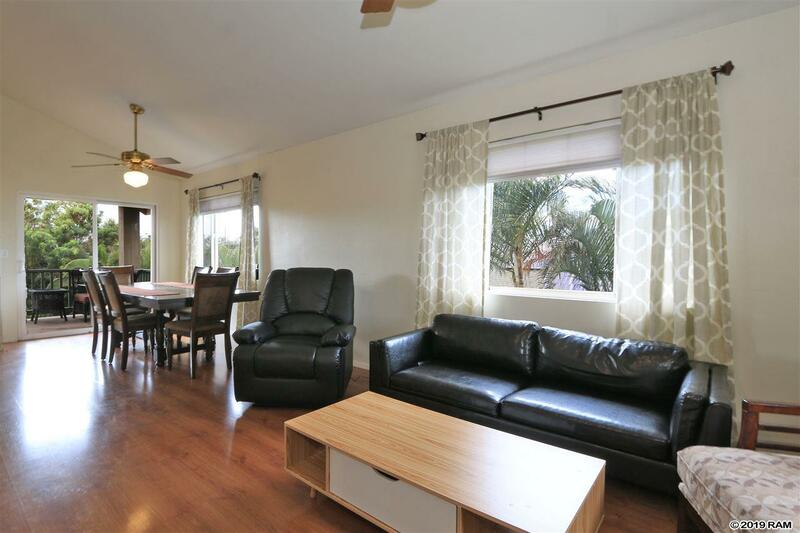 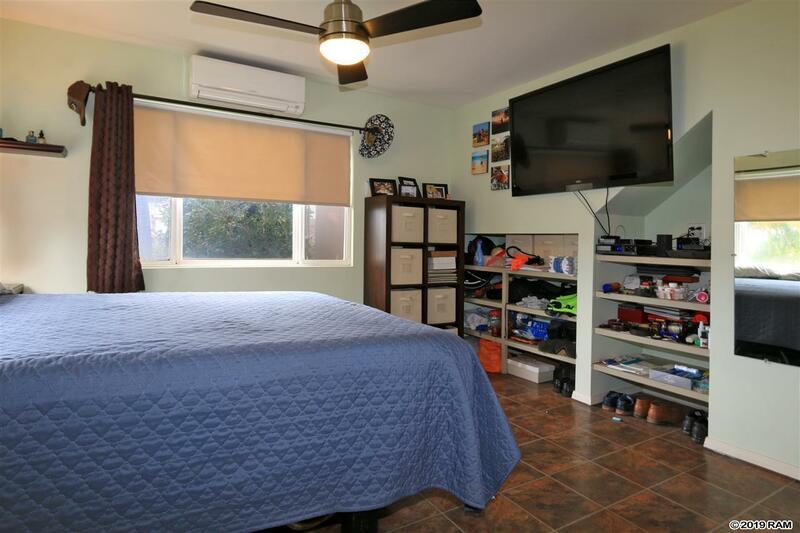 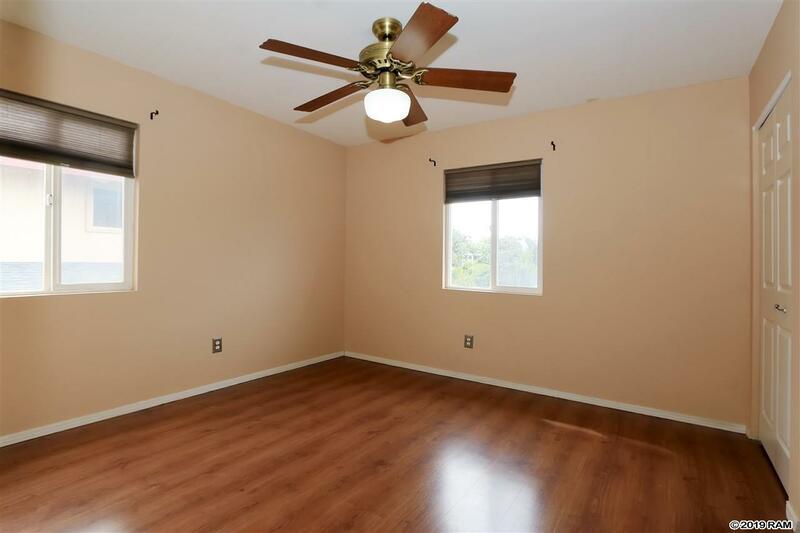 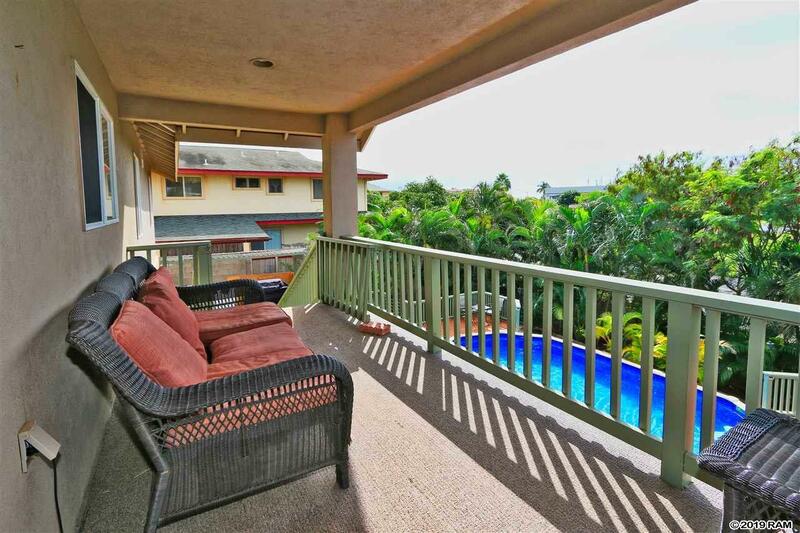 ft. of living area located in North Kihei. 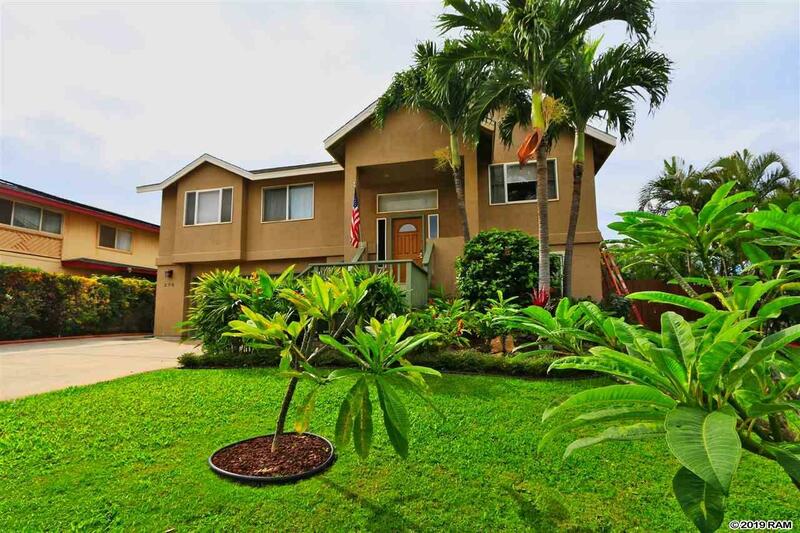 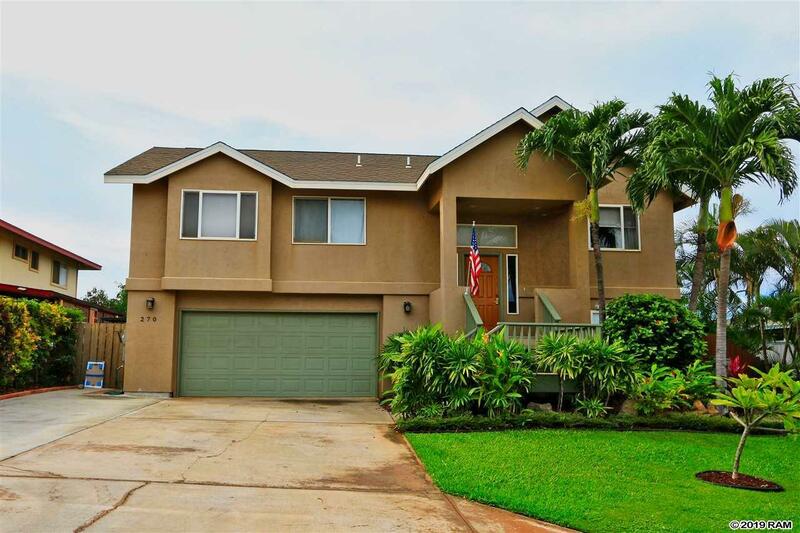 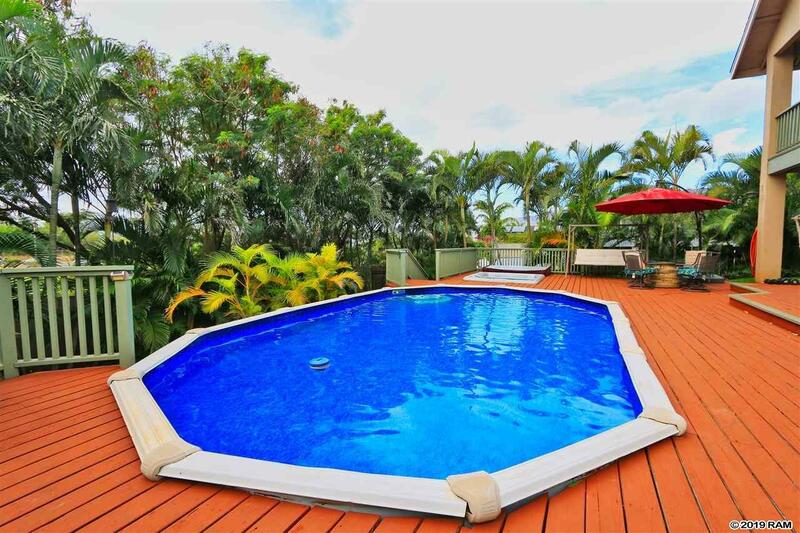 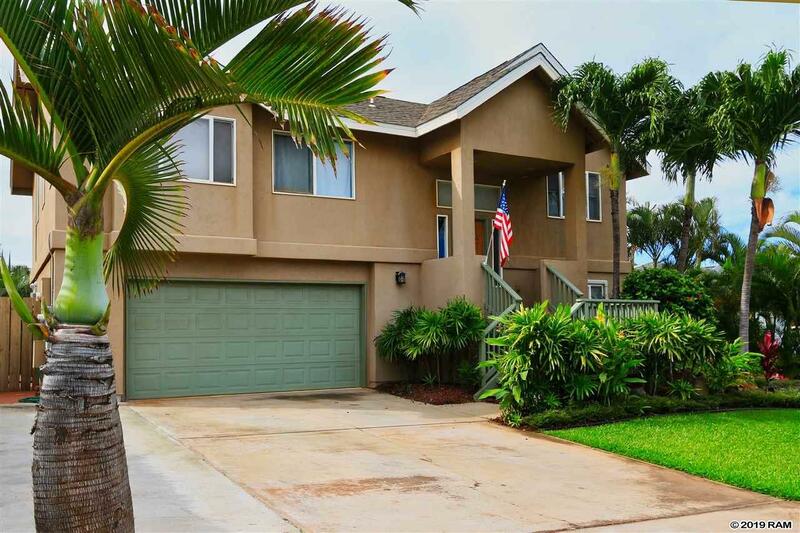 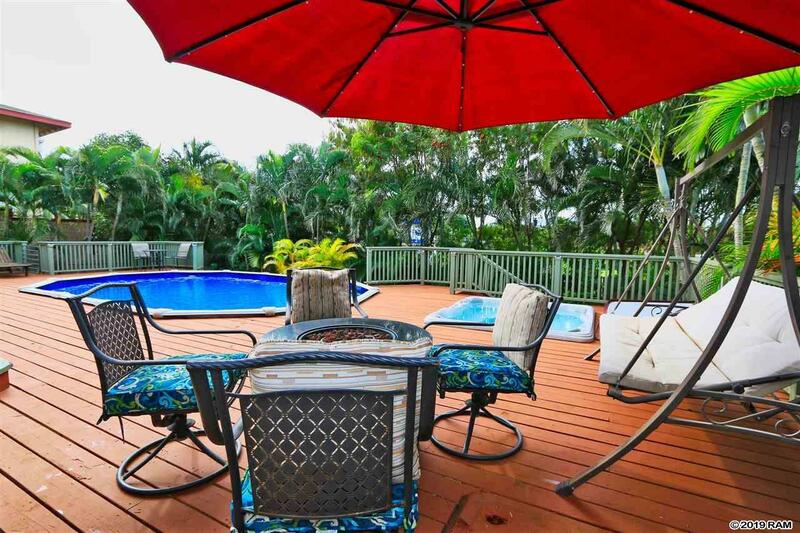 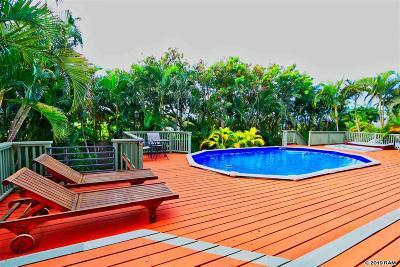 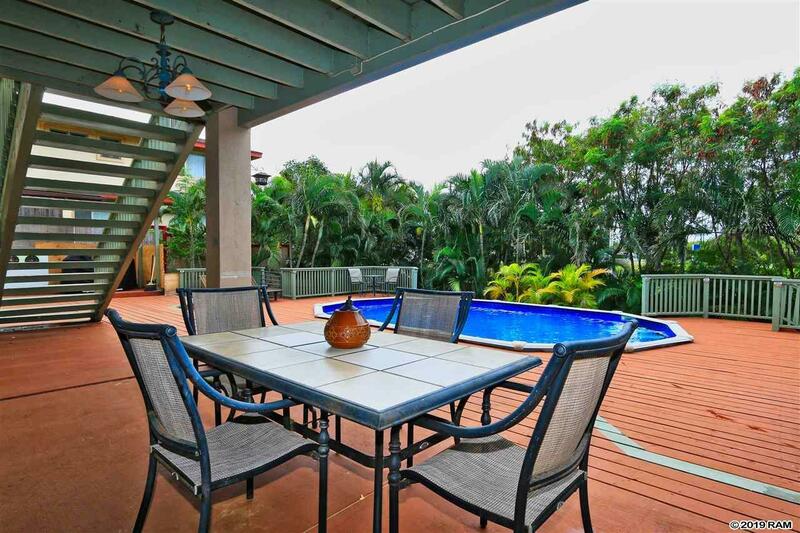 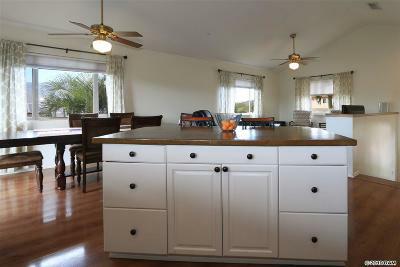 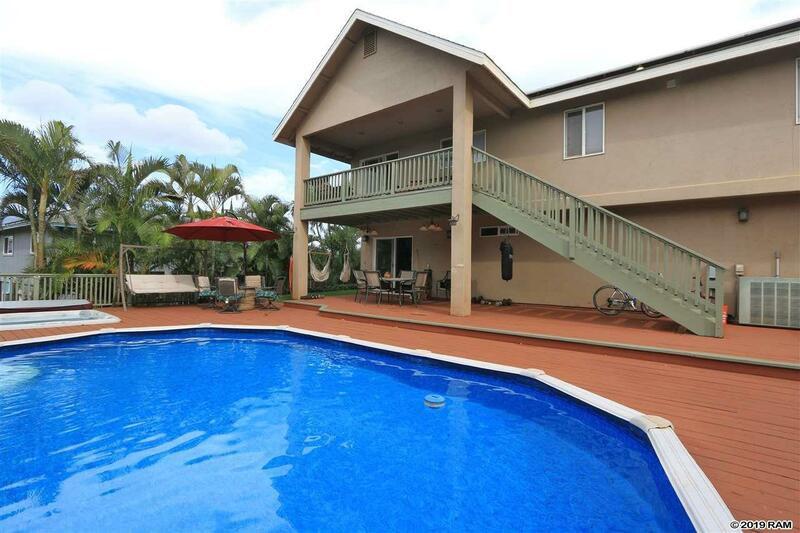 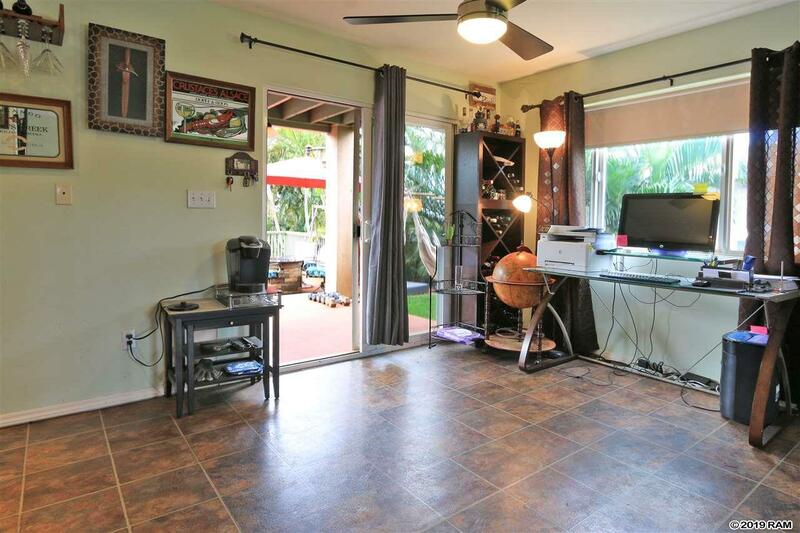 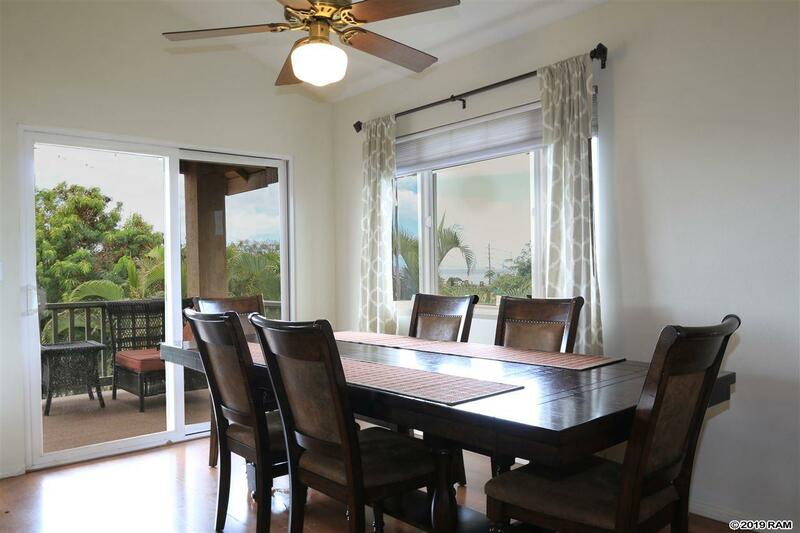 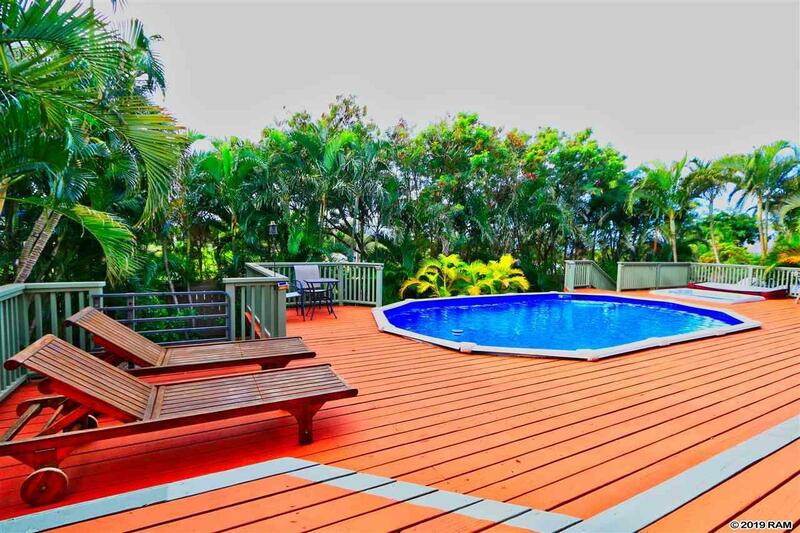 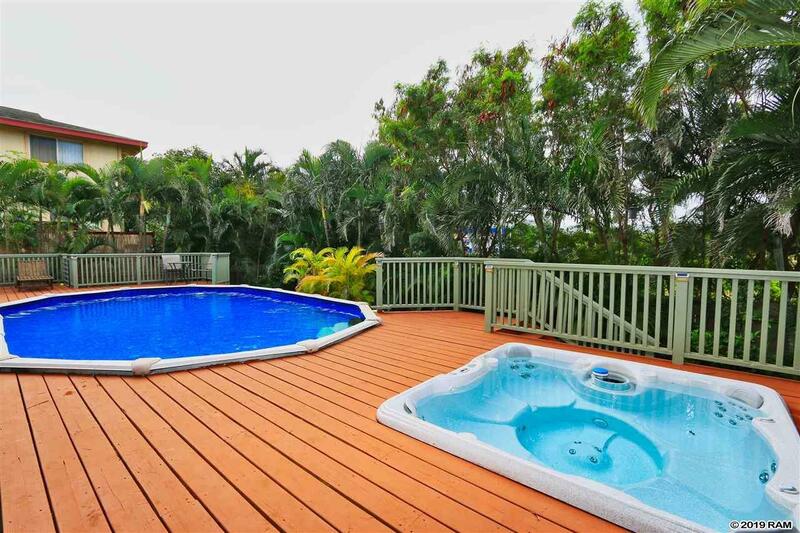 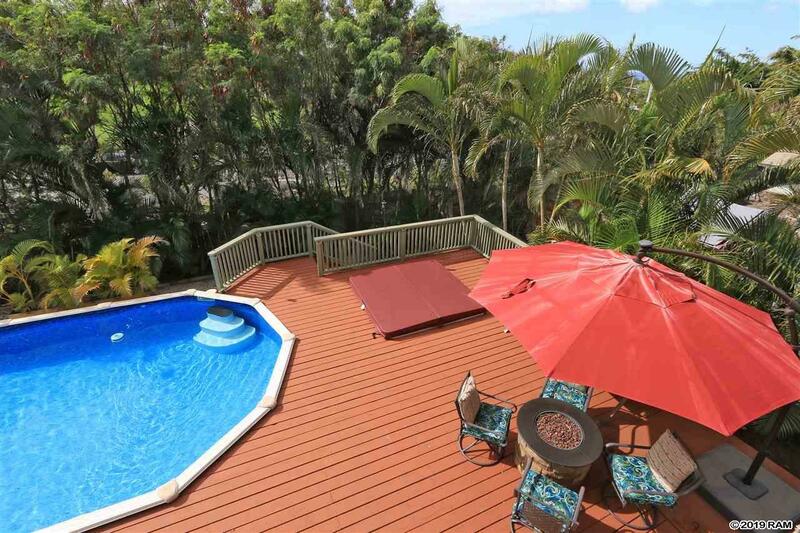 The main level of this home is spacious and offers a lanai that opens up towards the ocean view and West Maui Mountains. 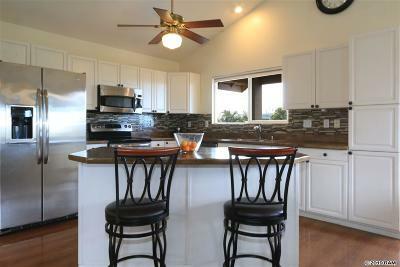 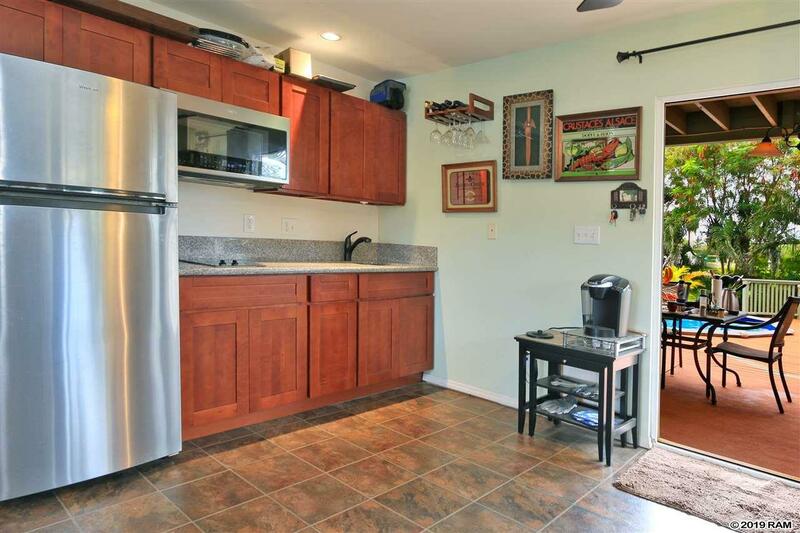 The gourmet kitchen features stainless steel appliances with counter tops that accentuate a tile backdrop. 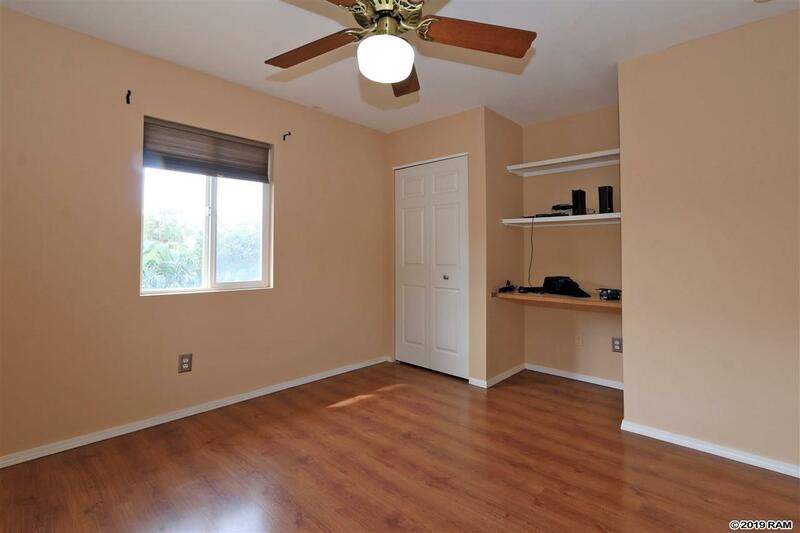 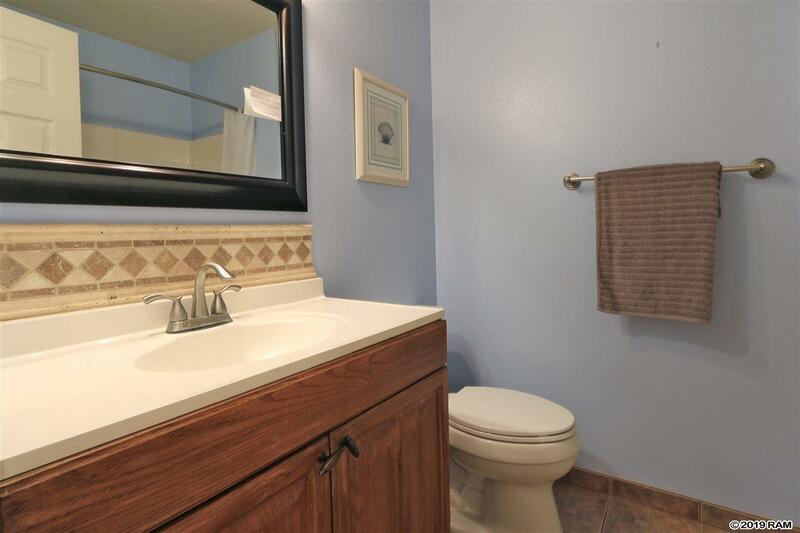 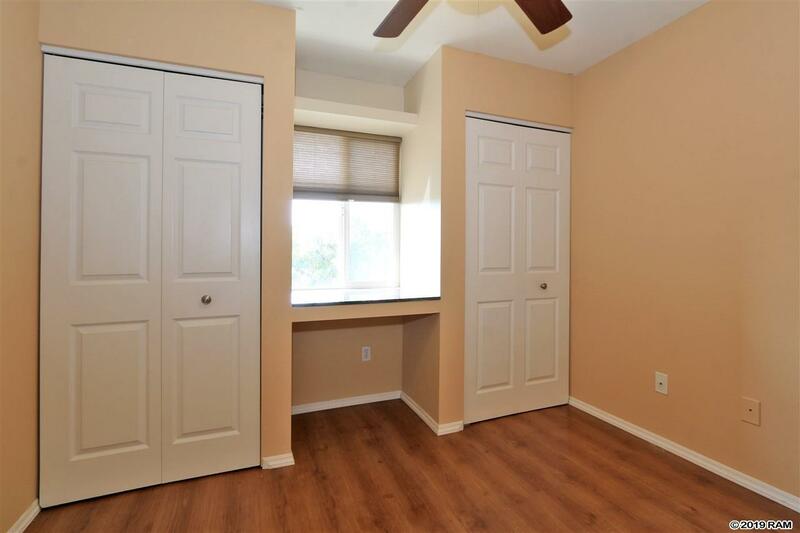 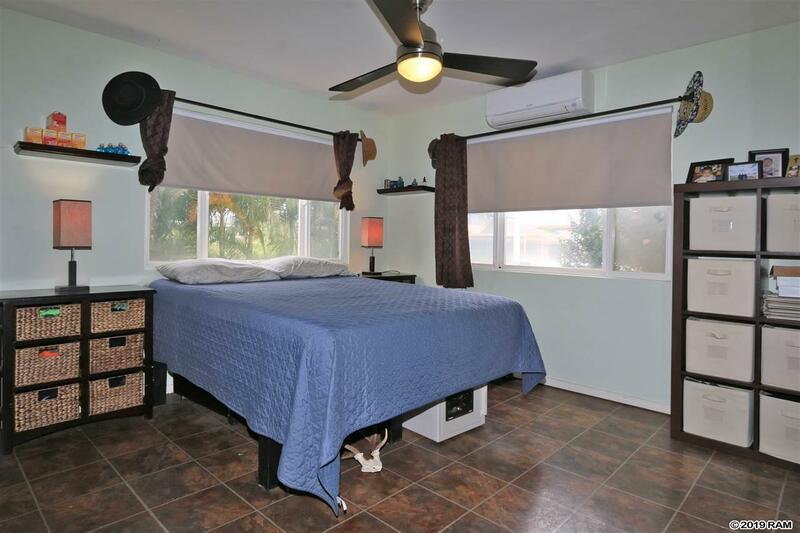 Down the hallway is a master bedroom plus a full bathroom with granite counter tops. 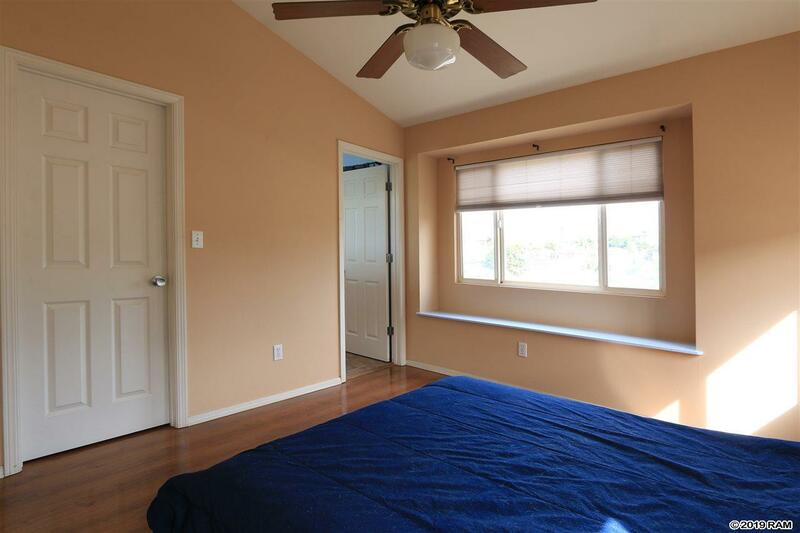 Two additional rooms complete the floor plan of the upper level. 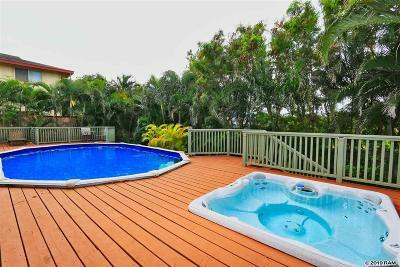 Downstairs you'll find a guest room with a wet bar that opens up to a pool, spa, and outdoor kitchen. 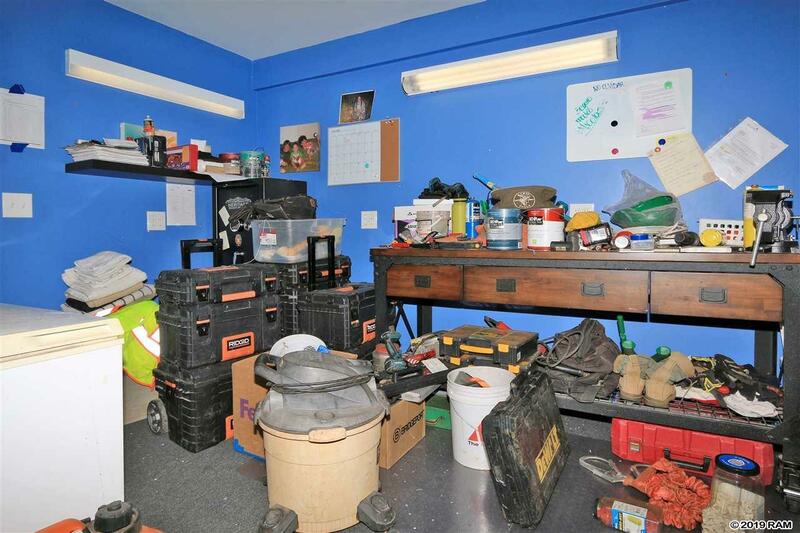 The home has central A/C and PV solar panels.